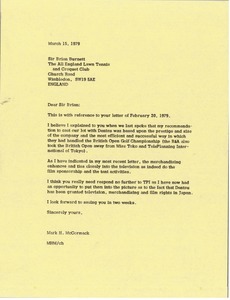 Japan - Explaining the reasons for their involvement with Dentsu, noting their reputation, size, handling of the British Open Golf Championship, merchandising activities, and other matters. 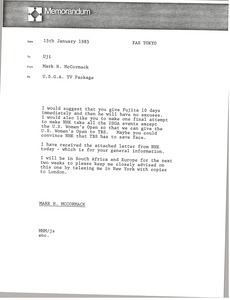 McCormack asks that Burnett no longer respond to Tele Planning International(TPI) as they are aware that Dentsu has received television, merchandising, and film rights. 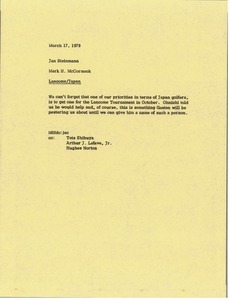 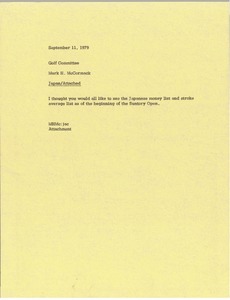 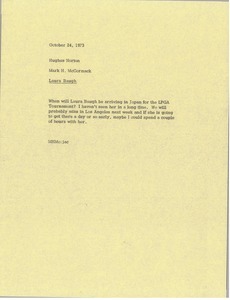 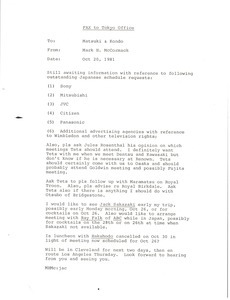 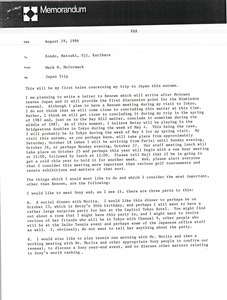 Japan - McCormack writes regarding his upcoming trip to Japan including scheduling meetings with Renown, Sony, Coca-Cola, and Kodak. 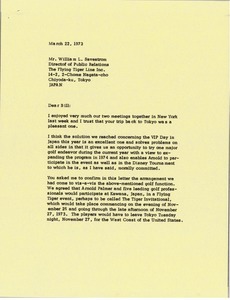 Japan - Concerning the USGA television package in regards to NHK. 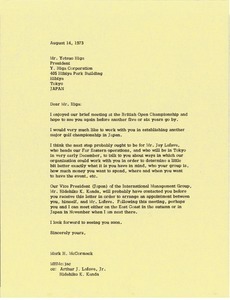 The enclosed letter is for Uji's general information. 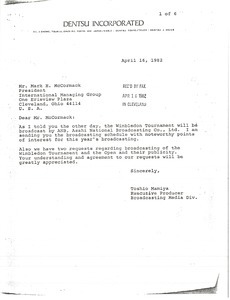 Japan - Concerning Asahi National Broadcasting Company televising Wimbledon, Mamiya sends McCormack the broadcasting schedule, as well as other relevant notes.